Information about releases and roadmap. Storage chests can be filtered. Requester chests can now request stuff from buffer chests as was originally intended. Buffer chests are provided items only if all requester chests are satisfied for that specific item. Requester chests have a checkbox that specifies whether it should or shouldn't request things from buffer chests. It is off by default. Optimized selecting robot tasks for requester chests. Changed fluid wagon capacity from 75k to 25k (Same as storage tank). Lowered fluid wagon weight from 3000 to 1000 (same as cargo wagon). Changed fluid wagon recipe so it requires just 1 storage tank instead of 3. Lowered barelling speed from 1 to 0.2. Fixed that it was possible to set duplicate logistic requests. Fixed that clicking "Generate" button in the generate map window while the exchange string field was enlarged moved the button around before the mouse up was registered. The exchange string field will now never shrink on focus lost. Fixed that train could overshoot a station when the schedule was changed by the script. The item-with-tags and selection-tool item types now support LuaItemStack::item_number. Added an optional player parameter to LuaEntity::order_deconstruction, cancel_deconstruction, LuaTile::cancel_deconstruction, LuaSurface::deconstruct_area, and LuaSurface::cancel_deconstruct_area. 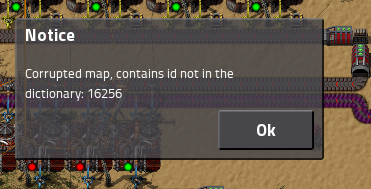 Use the automatic updater if you can (check experimental updates in other settings) or download full installation at http://www.factorio.com/download/experimental. Fluid wagon should be 20K fluid. Both wagons should have the same weight. You would have the same amount of fluid stored in both wagons so the choice of barrels vs fluid wagon would be more of a choice of gameplay design than effiency/throughput. Pitty we will not play with new inserter/sideloading compression mechanic before this year ends. I miss the barrels factory for total refinery with bots. A fact that evolution is always evolution. I think fluid wagons should still take 3 tanks to build, for the sake of graphic consistency. It's not something that you mass produce anyway so it shouldn't affect balance. The total capacity is diminished because when building the wagon the tanks are reduced in size to fit the size limitations of a train wagon. I think it's a good balancing for fluids (now we just need a new graphic for the tank wagon, with only one tank to fit with the recipe). I don't think it's the right place to report bugs. Last edited by yohannc on Fri Dec 29, 2017 6:58 pm, edited 1 time in total. But overall have great holidays! You are awesome! Absolutely love the new ability to filter storage chests, and the new options on requester chests! Will come in handy a lot for sure. I feel like this was a poor way to go about it. I can understand the fluid wagon changes, they did seem like they carried more than you'd think when they had a capacity of 75k. I feel 25k is a bit low, but can deal with it. I understand that the intention was to reduce the cargo wagon capacity for fluids. The drastically reduced capacity of barrels now however means that barrels provide much less usefulness in general. Their throughput using belts and bots was literally devided by 5. One barrel now never holds enough fluid for more than 2 recipes of anything. This means that there are no longer gameplay reasons to use barrels. The only things that speak for using barrels are: The wonky fluid system and its huge performance impact. The latter is basically negated by the need for 5 times as many belts and bots than before. Furthermore, both things should not be reasons to use one mean of transport over another from the players' perspective, because they are not gameplay reasons, they are ways so circumvent technical limitations. Because of this I propose that instead of lowering general barrel capacity, you should lower barrel stack size. Setting the stack size to 2 will have the desired effect on transport using cargo wagons. It will however keep transport by belts untouched, and only slightly affect transport using bots. This would mean that there would still be an advantage to dealing with barrel logistics. Essentially, with the way it's been implemented now, barrels are pretty much worthless, especially when transporting by train. Not only do they have less capacity in a cargo wagon compared to a fluid wagon, but they are also more difficult to set up AND now require far more bots or belt usage to get higher throughput. On top of that, if you had full barrels and now update to 16.8 and unbarrel them you lose 200 liquid per barrel. That adds up quick. Bilka's suggestion would also stop that from happening as well. Due to this change, a save I have now spent over 400 hours on can not update past this, ever. It will completely break everything. Obviously that is expected in an experiential release, but could have been lessened a lot by doing this in a different way. As a last point: You guys are always saying how you like to increase and better the performance in Factorio, but now have made a change that does exactly the opposite of that. As Bilka's statement said, it now require far more bots and belts to use barrels, which means more performance heavy. On top of that, you now need longer trains to transport liquids, which also hurts performance due to extra train entities. There are very few changes and decisions that I've been actually unhappy with in the 3 years I've played Factorio, but I have to say this is definitely one of those by far. Dear developers, thank you for the update before the New Year! Also with the upcoming holidays! Good luck! Not sure if it's just me but my game got stuck on autosave after this release. Last edited by sicklag on Wed Jan 10, 2018 7:55 pm, edited 2 times in total. i wasnt happy about fluid wagon change in .7, but i could handle it. but this is enough to make me just put factorio away for a while. I like the new barrels, because I think that barrels were way overpowered until this release. Yes the throughput is lowered and you need more machines and belts/bots to fill and transport your barrels, but that's not even bad. Redesign your base - it's an experimental release. jo2k wrote: I like the new barrels, because I think that barrels were way overpowered until this release. Except that now it takes about 5x as much bots/belts to move the same amount of barrels as before, which means worse performance. That completely goes against what the devs have said before about want to increase game performance. Going with a suggestion stated previously of reducing barrel stack size instead of fluid capacity would help bring them in-line with the tanker and be less OP than they are now, but not render them pretty much worthless. Barrel capacity change is actually pretty good and makes belt handling of fluid barres much more viable since there will be 5x less fluid stuck on belts. Ans 5x faster unbarring makes the change not impactful on barreling systems output. If barrels would be cheaper it would be unnoticeable except when trying to abuse bots and train capacity ridiculousness.